Memphis tour representative will pick you up from your hotel in Taba to enjoy snorkeling at the extreme northern point of Aqaba Gulf. You will reach the beautiful Pharaoh Island (Gezerit El Fraraun) a site of great interest from the historical and natural points of view. The northern east cost of the island has especially well developed coral reef the island itself known as coral island. 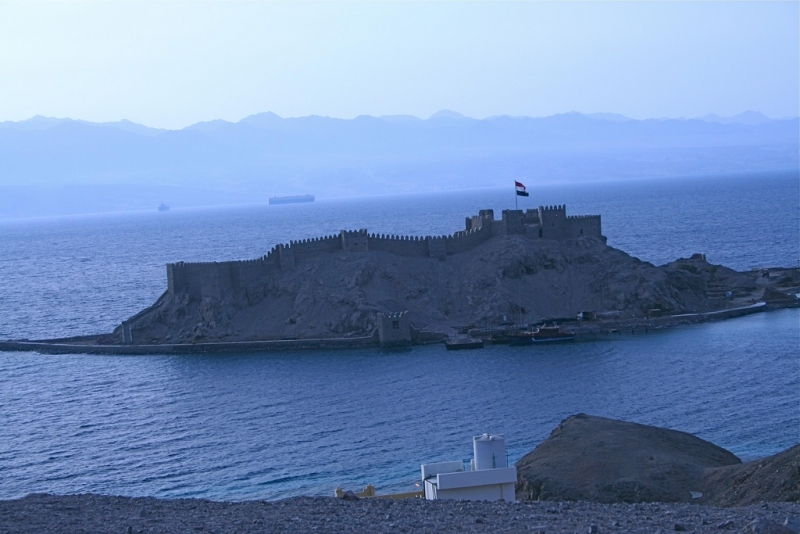 Enjoy the snorkeling day next to the island, and you soon come across a fascinating cove known as Salah El Din Fortress. This fortress was built on the island in the Byzantine period, it was occupied by the crusades in 1116 and enlarged at that time by sultan Saladin. It is well known as Saladin fortress. Have your lunch on board then transfer back to your hotel.